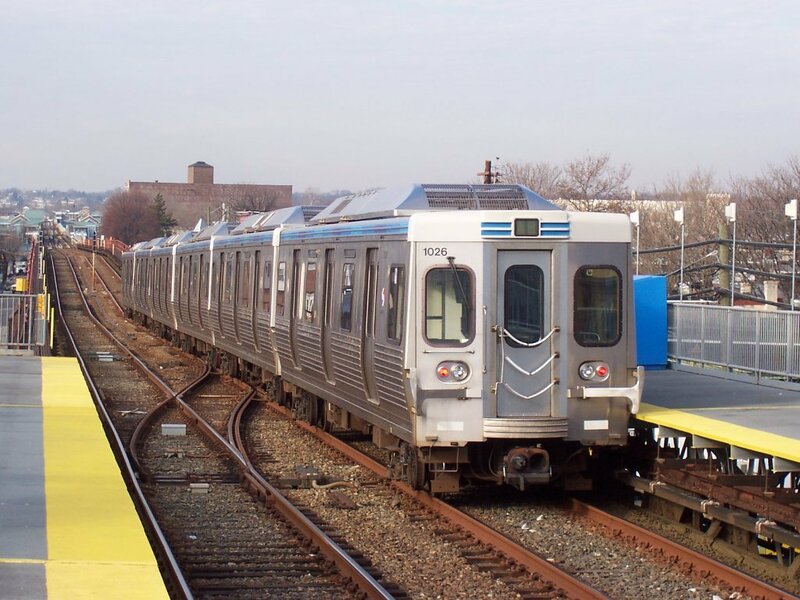 Market–Frankford Line train departing 52nd Street station in West Philadelphia. Wikipedia photo by Adam E. Moreira (December 29, 2006). Click to enlarge. 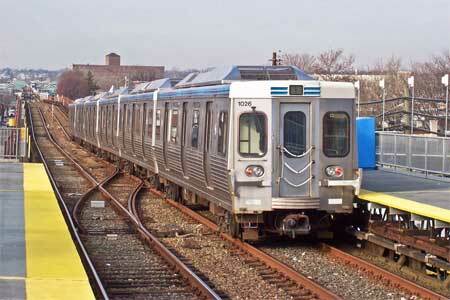 We took the River Line from Trenton to Camden, where we transfered to a NJ Transit bus to center city Philadelphia. Following a lunch break, we had time to ride the SEPTA Market-Frankford Line, Norristown High-Speed Line (the Route 100 interurban) to and from Norristown, a short ride on the Route 101 suburban trolley, Subway-Surface trolley lines 10 and 15, and the Broad Street Subway Line. We then took SEPTA Rail Line R7 from Philadelphia to Trenton, where we returned on a NJ Transit Northeast Corridor train. SEPTA discontinued its Day Pass, so attendees were urged to purchase a One Day Convenience Pass for $6.00, valid for eight trips on bus, subway and trolley (but not on regional rail). The group returned to Penn Station New York at 7:38 PM There was no dinner stop. Thank you for joining us for a guided tour on several types of rail lines to and from, as well as within, Philadelphia. While there were some opportunities for photography, the main goal of the trip was to ride the various lines and keep on schedule. The ticket price for the trip was only $5.00. The cost of attendee lunches and transportation was not included in the ticket price.